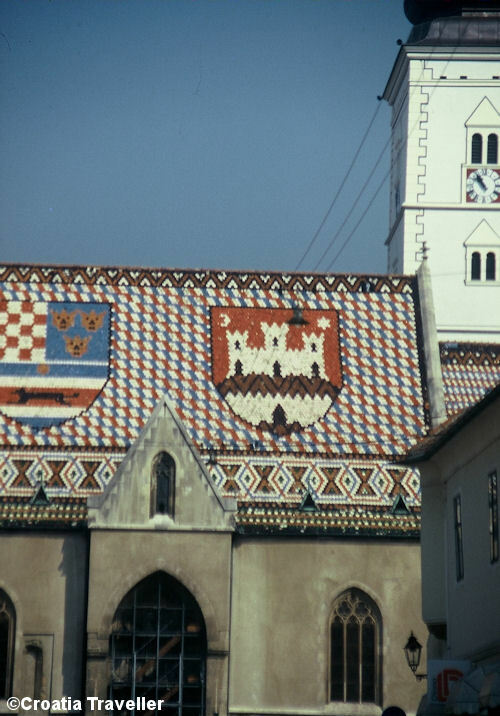 The 13th-century St Mark's Church displays the medieval coat of arms of Croatia, Dalmatia and Slavonia on the left side and the emblem of Zagreb on the right side. Notice the animal at the bottom. It is a marten or kuna in Croatian. The pelt of the marten was used as a unit of exchange in medieval times. Now the kuna is Croatia's national currency. The roof dates from 1880 but most of the interior dates from the 14th century. The Gothic-style south portal is the most notable feature outside but it's worth going indoors to check out the sculptures by Ivan Mestrovic and paintings by Jozo Kljakovic.